<-- end page view TEC 042119 --> Green Bay, Wi - Lisa R.
Thanks for visiting my page! I am happy to help with all of your cloth diapering needs. 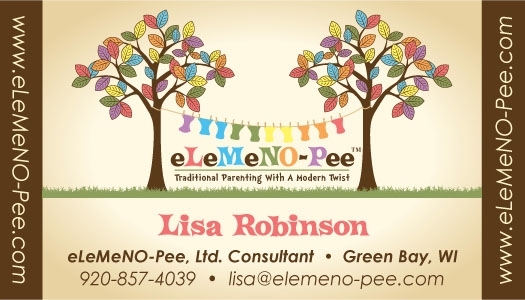 I love being part of this growing company as we strive to help other moms on their journeys to greener, healthier, and more frugal living. Whether you love Bum Genius, Thirties, Grovia, Tots Bots or something else, I am here to help. If you have any questions, don't hesitate to ask - I'm at your service!